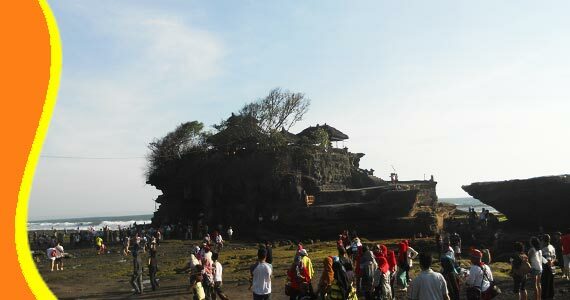 Visit the remarkable temple of Tanah Lot a great floating temple. This rocky temple was built in 16th Century on huge rock surrounded by the sea during high tide, which offer you an unforgettable sunset panorama in Bali. 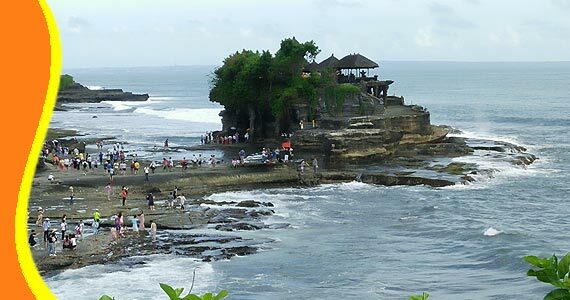 Tanah Lot is the Most Popular tourist destination in Bali. Located in Beraban Village, Kediri Tabanan, taken about 45 minutes from Kuta. 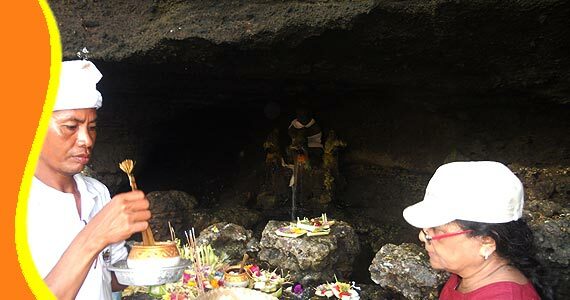 Here there are two temples are located in Tanah Lot Beach, which is located above the slab of rock, if the state of the tide of this temple will be seen surrounded by sea water so that we could just watch it over long distances. 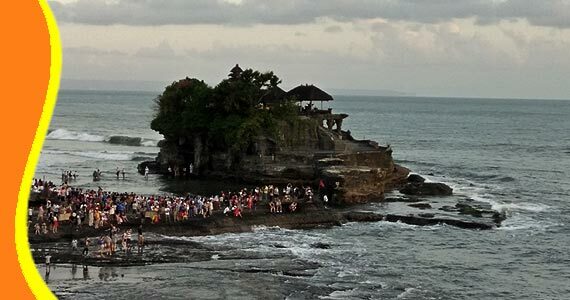 The existence of another temple which is located in the north of Tanah Lot Temple, located on the rocks also protrudes into the sea and over the cliff. Both will give you an amazing view. Tanah Lot Bali is a natural tourist attraction that is very popular with local and foreign tourists as it offers natural beauty to see the sunset (sunset). 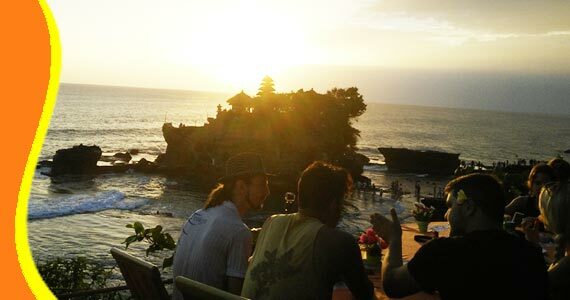 Sunset view in Tanah Lot Temple, see on the picture visitor enjoy the panorama while drinking. 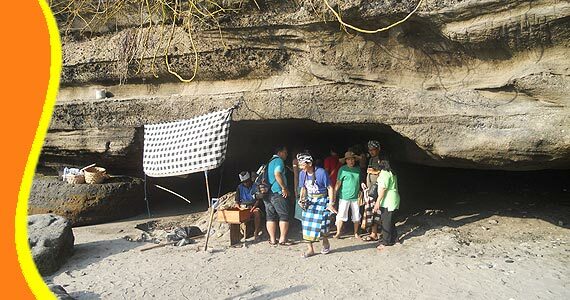 At the beginning of the entrance to the Tanah Lot area there are many art shop offering local handicrafts. Art market selling various kinds of souvenirs Balinese arts such as clothes, udeng. hats, slippers, knick-knacks, jewelry, paintings, sculptures, and other items of interest. In the vicinity there are also taverns and food, local snack/cake called klepon. And also in parking area you will encounter many shops that offer clothing, necklace, frame, tattoo, drinks and other Balinese souvenirs. For further explanation and information about Tanah Lot Temple Bali, TanahLot Tour, Tanah Lot Transport, Visit to Tanah Lot Sunset. Get a Bali Transport from your stay (Bali Resort or Bali Hotel). You can contact us if you need transport to go to TanahLot Beach and other related Bali tourist destination. 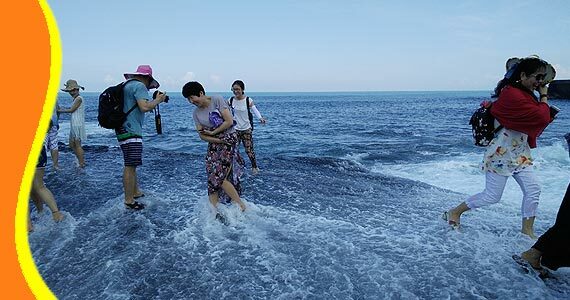 Tour to Tanah Lot Temple Bali can be combined and implemented in conjunction with other activities Trip or Tour in the same direction. - Camera or Video Recorder to save your memorable moment. “Really enjoy much the panorama of Tanah Lot Bali" (Thomas - UK)"